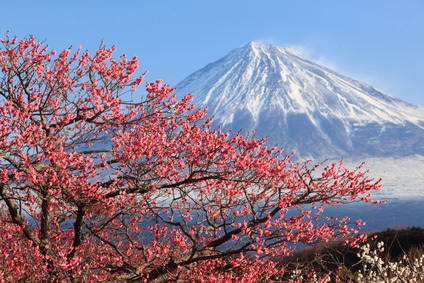 Cherry blossom near Mount Fuji. The Chūbu (literally "central part"), as its name indicates, is the central part of Japan's main island, Honshū. 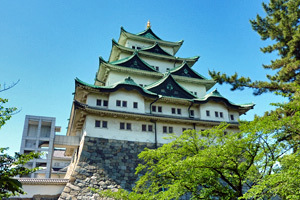 It is made of the 9 prefectures of Niigata, Nagano, Toyama, Ishikawa, Fukui, Gifu, Aichi, Shizuoka and Yamanashi. 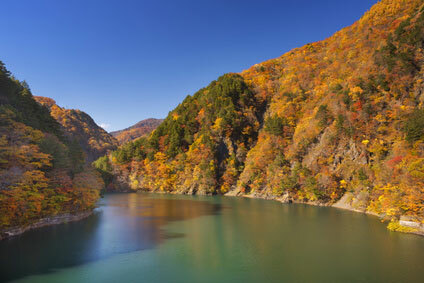 Most of the Japanese Alps are within the boundaries of the Chūbu, so that in spite of its central position it is often seen as a remote region, where transport is usually slower than elsewhere in Japan (except perhaps in Shikoku). 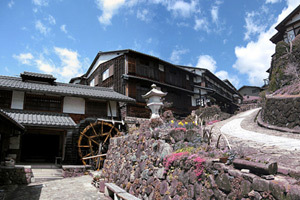 The Chūbu's remoteness is a blessing for tourists, for the ravages of concrete and neon lights have taken longer to arrive, and many historical towns have been preserved. The only sizeable city in this mountainous region is Nagoya, Japan's fourth most populous city, which occupies the centre of the great Nōbi plain. 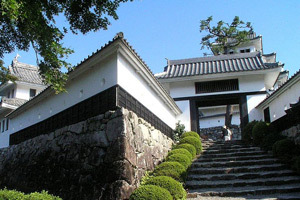 The Nagoya region has become synonymous with Toyota in many minds, but also one of Japan's historical centre of power, notably with the Tokugawa clan, as attested by its mighty castle and splendid Tokugawa Art Museum. 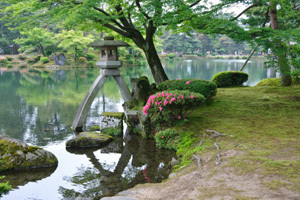 The Chūbu's popularity as a tourist destination owes a lot to Kanazawa and Takayama, which both earned the nicknames of "little Kyoto", and deservedly. 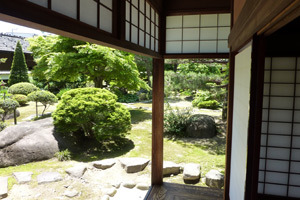 The small town of Furukawa (now part of Hida city since 2004), advertises itself as a small Takayama, a clear proof of the latter's touristic success. 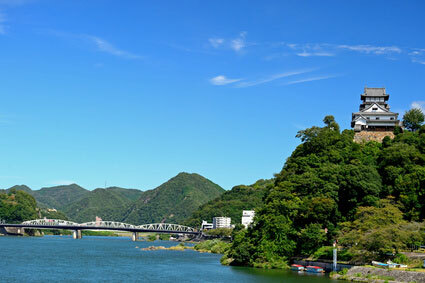 The Kiso Valley has managed to keep a few towns almost untouched by the hand of modernity. 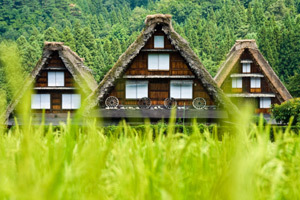 This is also the case of Gujo-Hachiman and the villages of Shirakawa-go and Gokayama, hidden in the mountains between Kanazawa and Takayama, which are now listed by the UNESCO as World Heritage sites. They are however isolated enough to put off short-term visitors. 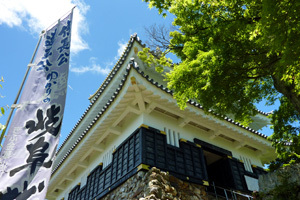 Further east, Matsumoto will enchant visitors with its unique black-and-white medieval castle, one of Japan's few original ones that have survived to this day. 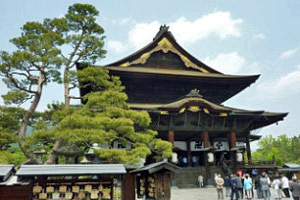 Nagano, which the 1998 Winter Olympic placed on the world map, possesses one of Japan's largest, oldest and most influencial temples, the Zenko-ji temple, set in a well-preserved historical district. 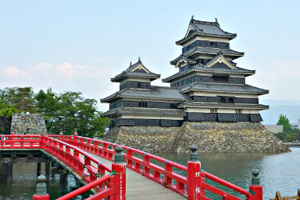 Just a half an hour train ride from Nagoya, Gifu and Inuyama is a small, laid-back castle town famous for cormorant fishing and river cruises. Just outside the city is the outstanding Meiji Mura Open Air Museum, one of Japan's most interesting theme park and historical attraction. 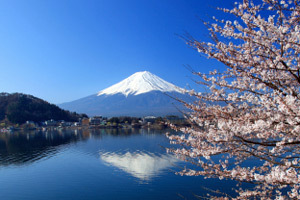 The Chūbu is perhaps best appreciated for its natural splendor, from the majesty of Mount Fuji, the hot springs resorts of Izu, Karuizawa or the Japanese Alps around Matsumoto and Nagano. 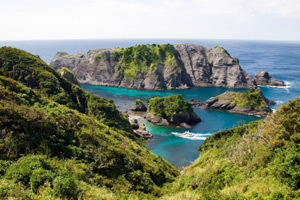 Travellers in search of solitude will head for Sado Island, off the coast of Niigata - a traditional place of exile. 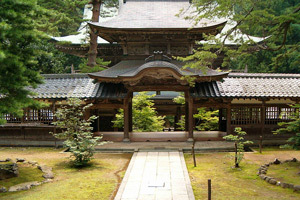 Others will find their inner peace meditating at the Eiheiji Temple in Fukui prefecture, the head temple of the Sōtō Zen school of Buddhism.